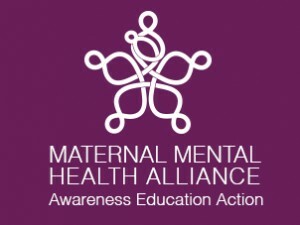 The Maternal Mental Health Alliance (MMHA) is a coalition of over eighty UK organisations committed to better mental health and wellbeing for women and their children in pregnancy and the first postnatal year, in order to improve long-term outcomes for mothers, fathers and children. This acknowledges the extensive evidence that investing in mental health at this early stage can have a dramatic impact on long-term outcomes for mothers, fathers, children, families and society. The vision is ‘to improve the lives of mothers and their infants’. We are motivated by the current shortfall in the quality, availability and accessibility of antenatal and postnatal mental health care and the lack of knowledge about this issue amongst health and social work professionals and the wider public. The Maternal Mental Health Alliance (MMHA) is focusing on three routes to this improvement: awareness, education and action. A key vehicle for joint effort by the Alliance is a campaign calling for equitable access to high quality services for women with, or at high risk of, mental illness in pregnancy and postnatally. The National Institute for Health and Clinical Excellence (NICE) has defined what is good quality, evidence based care in this field, but access to such care for women in the UK remains a postcode lottery and mental illness continues to be a leading cause of avoidable maternal death in the UK. Following a successful funding application to Comic Relief in October 2012, a Campaign Development Manager, Emily Slater, was been recruited to lead the project. Action on Postpartum Psychosis (APP), a member of the MMHA, is proud to administer the campaign development project on behalf of the Alliance, giving Emily the support of the growing APP team.